You benefit from the attractive 1 in 6.5 winning odds, which means that winning odds start at 1:7 per prize. The largest prize pool in the world of €2.24 billion. There are more than 24 million ways to win. You have the great chances to win some of the millions of secondary prizes available. Good luck! Join the Christmas fever!. Tickets are available online for all lottery players from around the world. Please buy Spanish Christmas lottery tickets online, by clicking the link below. The long history of the special once-a-year Spanish Lotería de Navidad, otherwise so-called Christmas raffle, began in 1812 and since it has been very popular and eagerly awaited event. The Christmas season atmosphere and an lottery-related dressed audience, makes the Loteria de Navidad draw the unforgettable event. We should not forget the amazing fact that the results of the draw, are sung by students of the San Ildefonso School. On the right picture: Spanish Christmas lottery draw that take place every year on December 22nd, in the TV studio in Madrid. We are sure that the Spanish Christmas super raffle lottery is the world's biggest lottery happening. Do you know that around 70% of the ticket sale revenues is returned to players in prizes? In 2014, lottery enthusiasts have the chance to win a portion from a €2.24 billion prizes pool. Please do not hesitate and try your luck, as you may play Spanish Christmas lottery game from any place on our globe. When the Spanish Christmas lottery draw take place, two elegant eye catching spherical drums are used to draw the raffle numbers. For your information, we should mention that the larger drum contains small wooden balls with the five-digit codes imprinted on them. Finally, the smaller drum contains 1,807 wooden balls that representing variations of the available lottery prizes on it. On the right picture: The so-called “bombo” (draw drum), which is used to hold the wooden balls which carry the numbers. When the draw take place, a single ball is selected from each drum simultaneously to match each prize with one of the 100,000 ticket numbers. The Christmas Lottery explanation start when 100,000 tickets are printed with pre-defined numbers. Please note that each ticket contains a five-digit code ranging from 00000 to 99999. Of course, due to the huge demand and the world's gigantic popularity of this once-a-year raffle lottery game, each mentioned above ticket is printed in 160 identical copies. The mentioned ticket is then divided into 10 shares (locally so-called: décimos) which can be purchased individually (separately). 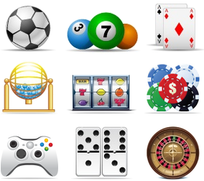 Players usually buy one decimo (one share) ticket or play in a group, in order to buy more shares of the same ticket number. On the right picture: The image of the Spanish Christmas lottery ticket (one share) used in 2014 edition of this raffle lottery game. Let us summarise, for your convenience. 100,000 unique tickets are printed. Each unique ticket is printed in exact 160 copies = 16 million tickets. Then, every ticket is divided into 10 shares = 160 million individual shares, available to buy separately. If you still do not understand the above, please drop us a message using contact us page (you will find the link in the footer). Hope, we can explain you as simply as possible. The first prize available is €4 million, which is divided into 10 shares. Let us assume that one player own all ten shares of the first prize winning ticket, then she/he is going to win €4 million jackpot prize. If you have bought only one share of the jackpot winning ticket, you will receive astonishing €400.000. Well done! This is sometimes happening that members of family or group of co-workers buy 10 shares of the same ticket. When they hit jackpot, they are going to receive 10 times x €400.000. Congratulations! Please note that Christmas lottery will award a total of €640 million in jackpot (first) prizes to the holders of the 160 winning tickets. Please do not worry as there are thousands of secondary prizes, ranging from € 125,000.00 to € 20.00 per one share. The lottery prize pool stood at €2.24 billion this year and there are 15,304 prize-winning combinations in every ticket. This means that around 27.5 million of one share holders will collect any prize. So, there are big chances that you win a prize. Good luck! Please click the button PLAY NOW below, to buy ticket of the Spanish Christmas lottery game. Thank you. Spanish Christmas lottery tickets have unique design that is changing, every year. They change the picture (at the left side of the ticket), which is related to the Christmas topic, and change the colour scheme of the ticket. Please find the small collection of pictures below, featuring Christmas lottery tickets used in previous years. Every year, Loteria de Navidad try to attract more lotto games enthusiasts to buy Christmas lottery tickets. Every year, new promotional video is prepared, usually in fantasy style. Please watch the ads video, produced in 2013.